Locate and hunt down scorpions with the Arachnid Blacklight Flashlight. Exposure to ultra-violet light will cause scorpions to fluoresce (glow) and make them easier to spot, even in the darkest of night. 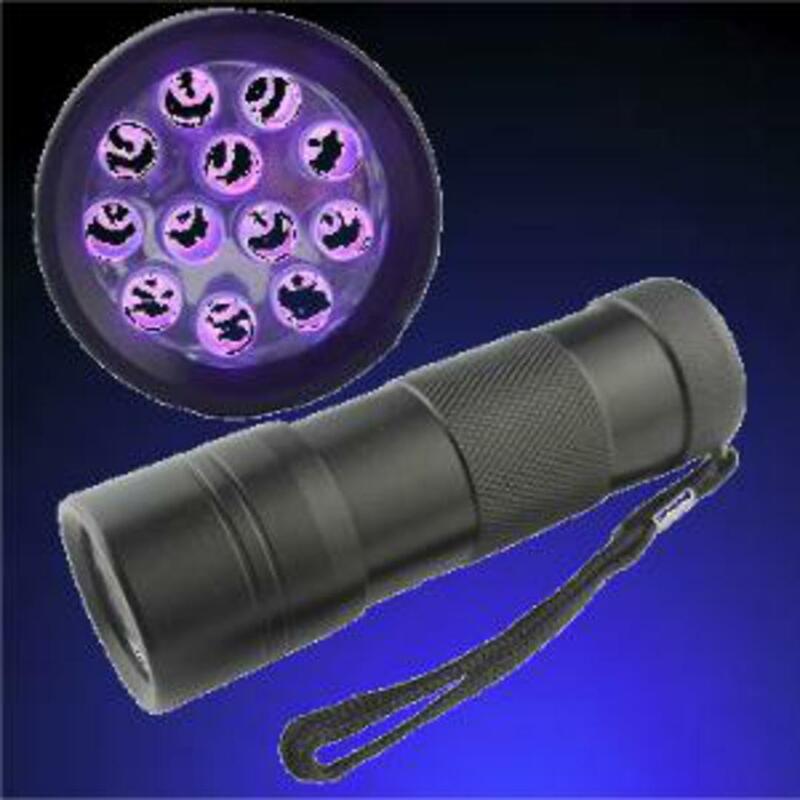 Arachnid A12 Ultra Violet 12 LED Scorpion Class Blacklight Flashlight features water-resistant high-strength aluminum case and toggle on-off switch for continuous or hands free use. 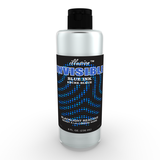 Fluoresces at distances over 30 feet in darkness with unbreakable SUPER BRIGHT UV LED bulbs. 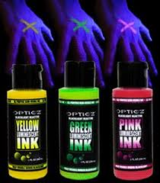 Other uses include: Counterfeit money detection, lighting up fluorescent materials, charging glow in the dark items, urine detection (faint), ID checking (some ID's), UV curing, Halloween flashlight, invisible ink detection, etc.